The Manastirea Pasarea the banks of the Pustnicu Lake and at the edge of the forest is a historic art monument dating back to the dawn of the 19th century. There are several controversies regarding the nomenclature of the monastery which was built by Archimandrite Timothy. The monastery is dedicated to the Assumption of Virgin Mary and the Holy Trinity. Some of the highlighting features of the Manastirea Pasarea are the old church artifacts like the embroidery, ceramics, icons, GD Anghel’s Plaster casts and the magnificent shrine bearing the parts of the Holy Relics of St Mercurie, Holy Martyr, and St Pantellimon. It was declared a historical monument in 1955. A very nice and warm place. A very nice monastery, with a lake nearby. It is a great place to visit! Quiet and holy! Amazing church! Is my favorite place in Romania. 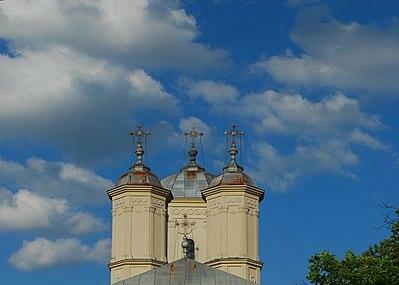 The monastery is 205 years old and in the moment you step in you feel the age and amazing pictures and wonderful icons. Inside the monastery is an icon with Mother Mary and Jesus and people around the area say that is a miracle icon and you can give her a gift and have your wishes come true!! !